The CitiBusiness® / AAdvantage® Platinum Select® World MasterCard® from our partner Citi is a business card that offers 50,000 bonus American Airlines miles after spending $3,000 on the card in the first three months. This card is in addition to the Citi® / AAdvantage® Platinum Select® MasterCard® personal card which also offers 50,000 bonus American Airlines miles for a limited time after spending $3,000 in the first 3 months. You can hold both cards at the same time to take advantage of earning American Airlines miles for your personal and business spending, but you cannot be approved for both on the same day. The collected wisdom is to put at least 8 days between applications for cards issued by Citi. The CitiBusiness® / AAdvantage® Platinum Select® World MasterCard® offers a huge sign up bonus and nice category bonuses. The card also comes with a free checked bag on American Airlines flights and priority boarding. How does the category bonus work? What are the other benefits of the card? Are you eligible for this card? Telecom is a 5x category on the Ink Plus, so if you have that card, put those purchases on the Ink Plus. Car rentals and gas (all travel and gas) are 3x categories on the Citi ThankYou® Premier Card, so use that instead of this for car rental and gas purchases. If you don’t have those cards, these 2x category bonuses are nice. Like the personal card, the business card comes with a free checked bag and priority boarding on American Airlines flights. If you spend $30,000 in a year on the card, you also get a $99 companion certificate for use within the continental United States. The annual fee on the card is $95, but it is waived for the first 12 months. Can You Get the Card? Anyone who has a Business including a sole proprietor can apply for the card. You will not be approved if you have any Citi credit card applications in the last 8 days or two Citi applications in the last 65 days. You will not be approved if you have any other Citi business card application in the last 95 days. People have been approved and received the bonus even if they have had a CitiBusiness American Airlines card in the past or even if they currently have it open. Read the wiki at the top of this FlyerTalk post for more information. The card also offers double miles on American Airlines purchases, telecom purchases, and car rentals. Starting on November 15, it offers double miles at gas stations. This card represents a powerful way to turn business spending into American Airlines miles at a time when American Airlines has the world’s best award chart after big devaluations by United and Delta. The card also comes with a free checked bag and priority boarding on American Airlines flights. The annual fee of $95 is waived the first 12 months. For my first business card…. 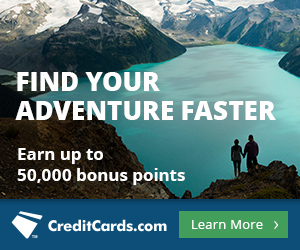 should I apply for the 50k Bonus Miles on CitiBusiness AAdvantage Card, or should I apply for the Chase Ink Plus with it’s 50K bonus miles? 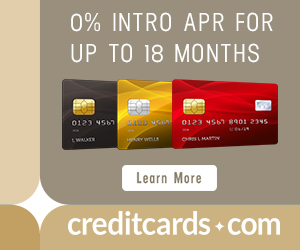 My business would be able to meet either card’s minimum purchase in the first 3 months. My primary goal travel goals is to build up miles for travel for my family of four. Trips would be to visit family in Hawaii, and an other domestic destinations. I plan to take my family overseas in a couple of years, but don’t know yet if it will be Australia, Africa, or Europe. I suspect economy seats will be the most likely since it will be travel for a family of four.